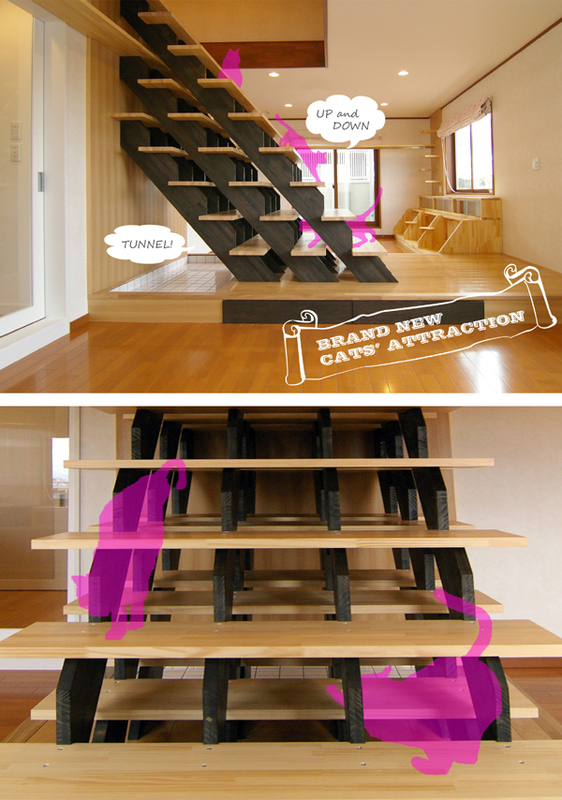 The triple layered stairways give more comfortable indoor space for cats than ever. Many cats will be intrigued by stairs itself, but also by this unique configuration. Amazingly, it becomes even complex tunnels for cats as well. If you have more than four cats and worried by their problematic behavior, the triple layered stairways will be an effective solution to make less stress from your cat.